An Electric Shaver (or sometimes called an Electric Razor) is a personal grooming device used for removing hair from the face, legs, etc. For most electric shavers, the blades or screens pop out for easy replacement. Because an Electric Shaver is typically used in the bathroom around water sources, special care is required to prevent electrical shocks. 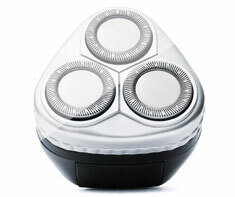 Shown in the 'Routine Care' section are the recommended routine maintenance tasks for your electric shaver. The 'Q & A' section shows answers to common questions. And the 'Articles' section provides helpful articles about your electric shaver.